Boxing star Anthony Joshua has shared a surprising secret of success with Land Rover – driving SUVs. I used to drive a lot of sports and small cars but it led to a number of back injuries. Now I am quite particular, and since I have got into bigger cars it has helped sustain my boxing career. It’s not just his body the British fighter has to look after. AJ is always looking for new ways to improve his mind too. Beyond training the mind, AJ says organisation is essential to ensuring he is mentally in the right place ahead of a gruelling training camp and box-office fight. How did he learn this approach? From clothes shopping! “It is hard for me to buy clothes off the peg, so I have to plan,” he chuckles. 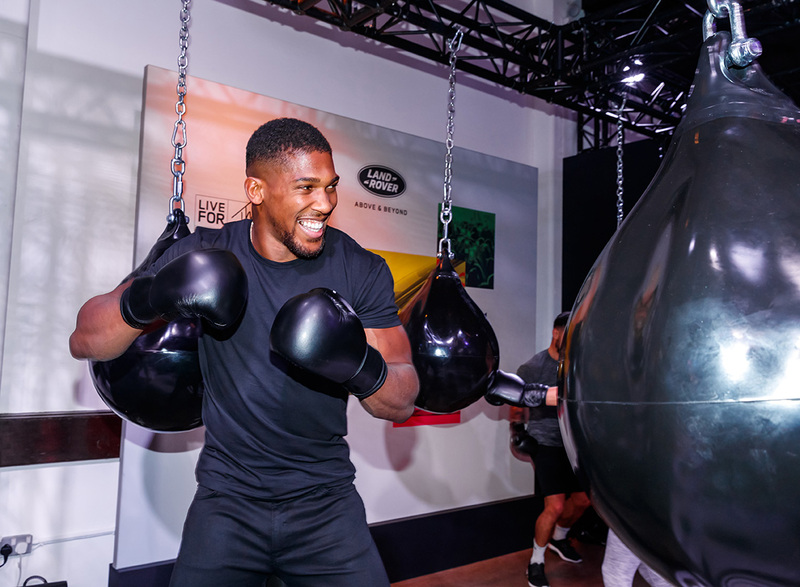 AJ, who lives in London, took part in a sparring session at the new Evoque’s launch event with fitness boxing club Kobox. Afterwards, the Londoner noticed similarities between the evolution of a car and a boxer. You can’t normally compare the two. But I have all the information I need to win my next bout and Land Rover has all the information it needs to build the next Evoque. Then it is about refining what you have and making little bits better. Land Rover are using the range to their advantage, and I am trying to use my range to my advantage.